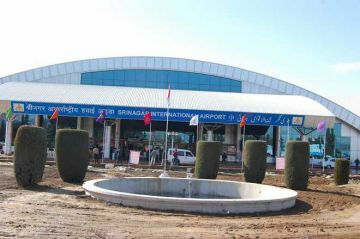 Srinagar, Mar 7, : Srinagar Airport Authority has been taking no cognizance of loot that is going on under its nose in broad day light. The parking contract has been allotted to a Gujurat based company which according to locals has been given free hand to empty the pockets of visitors. The four-fold hike in parking fees, commuters at Srinagar Airport have been finding themselves in a prickly situation with most of the parking attendant picking a quarrel with them. A couple of commuters told news agency that parking attendants charge Rs 60 for every 10 minutes and if you by chance keep the vehicle for a couple of hours that means you to empty your purse and hand it over to them. A visitor said that he arrived at Airport to receive a foreign guest. “I was charged Rs 60 for parking for my vehicle for couple of minutes. It is injustice towards every Kashmiri. We all know any visitor to airport has to wait for hours,” he said. Another commuter said that on the one hand government is making tall claims of providing employment opportunities to unemployed youth of Kashmir Valley while on the other hand, non-locals are being preferred at important places. “How come Srinagar Airport Authority has awarded parking contract to non-locals,” he questioned. 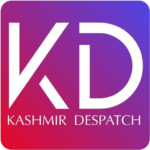 Ajaz Ahmed, a local from Srinagar said the other day due to delay in flight he was forced to pay Rs 180 to a parking attendant. “I even entered into an argument with the parking attendant,” he said.